If you need to replace your current air conditioner, look no further than Bruce Jones Air Conditioning. Our team has the HVAC experience to get the job done right, and we’ll respect your home and take precautionary measures to make sure we keep it clean while we work. Even when buying a new piece of equipment, it’s important to consider warranties and guarantees for the future. We’re proud to offer a ten year, 100 percent satisfaction warranty for any heating or cooling equipment we install. Although most HVAC manufacturers offer their own warranties, we wanted to give you even more. Simply put, our warranty will offer you coverage where a manufacturer’s warranty falls short. Please call us to learn more. 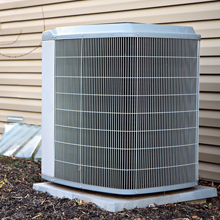 Having a new air conditioner installed is a large expense, and perhaps you weren’t planning on making this purchase so soon. We understand that. 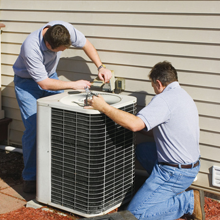 We’re happy to work with you, to help you finance your new air conditioner. Call us to speak with us about financing options or to learn about our relationship with Synchrony Bank.